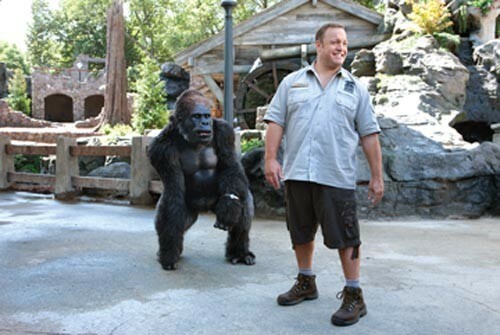 In which the animals at a zoo break their code of silence to talk their beloved zookeeper (Kevin James) through a romantic crisis. Even if you like talking-animal movies, Frank Coreaci's comedy flops around like a poolside fish choking for life: It's bereft of plot, laughs, logic and characters. Oh, unless you can't get enough of: lumbering Kevin James; squeaky-voiced Adam Sandler mouthing for a nasty little monkey; and a depressed gorilla whose real dream is not to get the hell back to the jungle and away from these awful people and animals, but to party all night at crappy chain restaurants. An all-purpose insult to humans, animals, zoos and movie-goers.